Electrify the surrounding with a grand bouquet of blue roses. 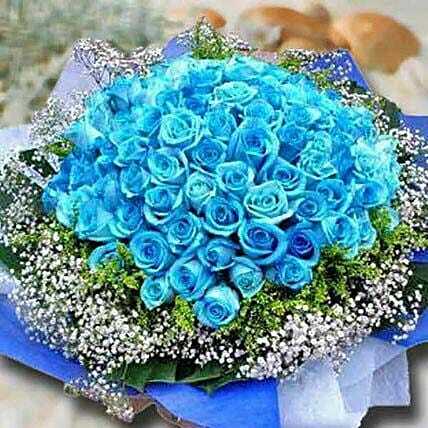 This flower bouquet of 99 blue roses is a display of outstanding beauty. These rose have been picked fresh for you to create a gorgeous flower bouquet that offers a personal touch to your warmest wishes.